HitmanPro is a portable antimalware tool that designed to detect and remove viruses, trojans, rootkits, adware, browser hijackers, ransomware, and other malware from infected computers. It gets the computer back to normal, a pre-infected state. HitmanPro can be used alongside another security software that you may already have installed. HitmanPro.Alert is a lightweight program, which aims to protect your computer from ransomware, latest hacking, program exploits, webcam spying, and online banking risks. HitmanPro.Alert stops security threats by proactively seeking out and analyzing suspicious behaviors and activities. HitmanPro.Alert includes powerful malware remover that can detect and (if found) remove malicious files and registry entries. JRT (Junkware Removal Tool) is a free security software that scans startups, services, processes, files, folders, registry keys and registry values to detect an adware, toolbars and potentially unwanted programs. If any malicious software has been found, JRT will automatically remove all traces of these threats. Kaspersky virus removal tool (KVRT) is a free security tool that uses the Kaspersky Anti-Virus engine to detect and remove Viruses, Trojans and Malware. It may works together with other antimalware and antivirus utilities. Malwarebytes (previously called Malwarebytes Anti-malware) is next-generation antivirus replacement. It can replace your traditional antivirus and protect your PC system from malware infections using a healthy combination of proactive and signature-less technologies. Malwarebytes detects and removes malicious software (malware) that even the most well-known antivirus and antimalware programs cannot. It works together with other antimalware and antispyware software. Malwarebytes have a plain and simple-to-use interface. 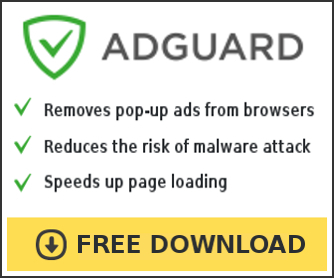 Malwarebytes Anti-malware for Mac OS is a free software that scans and removes malware, adware, malicious browser's extensions that cause annoying pop-up ads. It have a plain and simple-to-use interface. Malwarebytes Anti-malware for Mac is a best way to destroy malware that is hiding deep in your system. McAfee rootkit remover is a free anti-rootkit that detects and removes ZeroAccess, Necurs and TDSS family of rootkits that are running on the computer. MiniToolBox is a small free tool that creates to fix a troubles with Internet connection that issues due to browser's proxy settings, broken or hijacked LSP and problems with network adapters. Moreover, it can also be used to detect a search redirections and router hijackings. MiniToolBox has some additional features such as: Flush DNS, List content of Windows HOSTS file, List IP configuration, List Winsock entries, List the last 10 event viewer errors, List of installed programs, List devices, List users, List partitions, List memory size, etc. OTM by OldTimer is a free small removal tool. It helps you to remove files, folders, services, registry keys and entries, reset hosts file and clean a temp folder. Most viruses, trojans, and rootkits protect self files from being deleted. It will not help here. OTM is easy to remove such files. Moreover, this program allows you to create scripts to remove viruses and Trojans. OTM is a better way than manual file removal and registry fix. PhotoRec is free file recovery software that created to recover lost and encrypted files including documents, images, movies and archives. PhotoRec ignores the file system, so it will still work even if your drive's file system has been severely damaged or reformatted.